A recent Institute of Medicine (IOM) report, released on the 25thanniversary of the Gulf War, has concluded that Gulf War Illness (GWI) has no biological cause and is not the result of exposure to pesticides, anti-nerve gas pills, and chemicals in nerve gas agents — as researchers from Boston University School of Public Health and a dozen other institutions had concluded. On February 23, Congress will hold a hearing on Gulf War health issues in response to concerns and criticism of the IOM report and its potential effect on veterans suffering from GWI, the constellation of chronic health symptoms that include fatigue, pain, headaches, and gastrointestinal and cognitive problems. 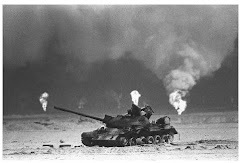 An estimated 25-33 percent of the nearly 700,000 of the 1990-1991 Gulf War suffer from GWI. Just last month, researchers from BUSPH and their colleagues published a paper “clearly and consistently” showing exposure to these chemicals are the cause of the illness. The comprehensive review of past studies was led by Roberta White, professor and chair of environmental health at Boston University School of Public Health, and co-authors included Kimberly Sullivan, research assistant professor of environmental health. The IOM report, says Sullivan, is full of holes and dubious conclusions. She is the principal investigator for a number of studies and treatment trials related to GWI, and the former associate scientific director for the Research Advisory Committee on Gulf War Veterans’ Illnesses. She and former committee members have come out against the IOM report’s conclusions. Sullivan spoke with us about her concerns regarding the report, and the next steps she and her colleagues plan to take. The IOM report dismisses chemical exposure as the cause of GWI, and recommends related research should no longer be funded. Does this change your research focus? This report only strengthens our resolve to tackle the important remaining questions in GWI research to identify biomarkers of current illness and prior pesticide, anti-nerve gas pill and nerve agent exposures as quickly as possible. 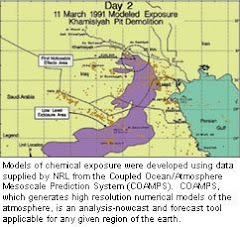 This work is important to Gulf War veterans who suffer from chronic effects from these toxicant exposures but also for many others occupationally exposed to these pesticides, including farmers and pesticide applicators around the world. 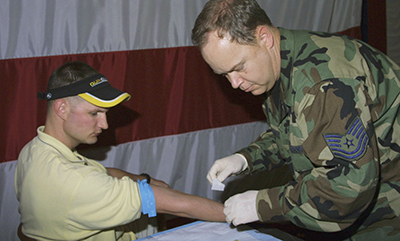 Gulf War veterans are counting on researchers to identify the cause and pathobiology of their debilitating illness, and to identify treatments that will work to improve all of their symptoms, not just manage them. I believe that it is our responsibility to take care of our veterans who fought for their country and came back sick. It is the right thing to do and we will continue to do it. The IOM report says there is no way to know what caused GWI, but that it is most likely a functional or psychiatric condition with ‘mind-body’ effects. Could you explain why these conclusions aren’t convincing to you and your colleagues? The report goes to great length to describe GWI as a self-reported symptom based disorder for which there are no current objective biomarkers and therefore it must be a ‘functional disorder,’ meaning it has no physical cause. In fact, this report places PTSD as the only disorder that has ‘sufficient evident of causal association’ to deployment to the Gulf War, while it places GWI in the second category of ‘sufficient evidence of an association’ to deployment to the Gulf War. However, less than 10 percent of Gulf War veterans have been diagnosed with PTSD, and more than 30 percent have been diagnosed with GWI. In addition, it is completely unclear why GWI is not also causally-related to deployment to the war when both disorders are diagnosed the same way—by self-report of chronic health symptoms. The report also stresses that the health conditions associated with Gulf War deployment are primarily mental health disorders and functional medical disorders and that these associations emphasize the interconnectedness of the brain and body. However, the brain and body are interconnected in GWI not because this is a stress-related disorder without a unifying pathobiological cause as the IOM report suggests, but rather because they are all part of the brain and immune pathways that are activated as part of the neuroinflammatory response to pesticide and nerve agent exposures. These chemicals directly target the nervous system and cause inflammation. These pathways start by activating the immune cells in the brain called microglia that release chemical messengers called cytokines in the brain and the many body systems that are affected in GWI and are proinflammatory. Activating these inflammatory systems in the brain and throughout the body can result in chronic symptoms such as joint and muscle pain, memory problems, fatigue, headaches, and gastrointestinal distress—all symptoms found in GWI. Researchers call this type of chronic condition a post-inflammatory brain syndrome. What effect will the IOM report have on veterans? Sadly, the end result of this report is that Gulf War veterans suffering from brain cancer caused by Gulf War exposures, or family members of those who have already succumbed to brain cancer, or many veterans with GWI, will not receive VA benefits now or likely ever for their service-related mortality. What are the next steps in BU’s ongoing research? We have a large nine-site consortium study of GWI that brings animal, cell, and clinical researchers from several prestigious organizations working together side by side to make sure that what we are modeling in our animal models is what we are seeing in our GW veterans. In fact, a recent paper by our colleagues at the CDCshowed that Gulf War-relevant pesticides and nerve agents produced a neuroinflammatory response resulting in hundreds-fold higher cytokine chemical signaling in our GWI animal model. We are also developing targeted treatments in our animal models based on these cytokine biomarker abnormalities. We plan to bring the most promising of these treatments to clinical trials with our sick veterans to treat the cause of GWI. We have also recently brought other investigators from Duke and Harvard Universities into our collaborative research program and have identified promising biomarkers of past exposure to GW relevant chemical toxicants, including pesticides and anti-nerve gas pills, that we believe are associated with their chronic health symptoms. Unlike the IOM report, which states that identifying biomarkers of past pesticide or nerve agent exposure is not possible, we are working hard to identify these markers and to associate them with GW veterans’ current illness symptoms in our currently funded study. Additionally, BUSPH researchers and our study collaborators at BU, Boston VA, Bronx VA, Miami VA and Nova Southeastern University are currently funded for targeted treatment trials of intranasal insulin, D-cycloserine and co-enzyme Q10 to treat the cognitive, fatigue and pain symptoms of GWI. We believe that we can do better for our veterans than ‘manage’ their symptoms as the IOM suggests, and we are hopeful that these currently funded treatments will provide these much needed targeted therapies.